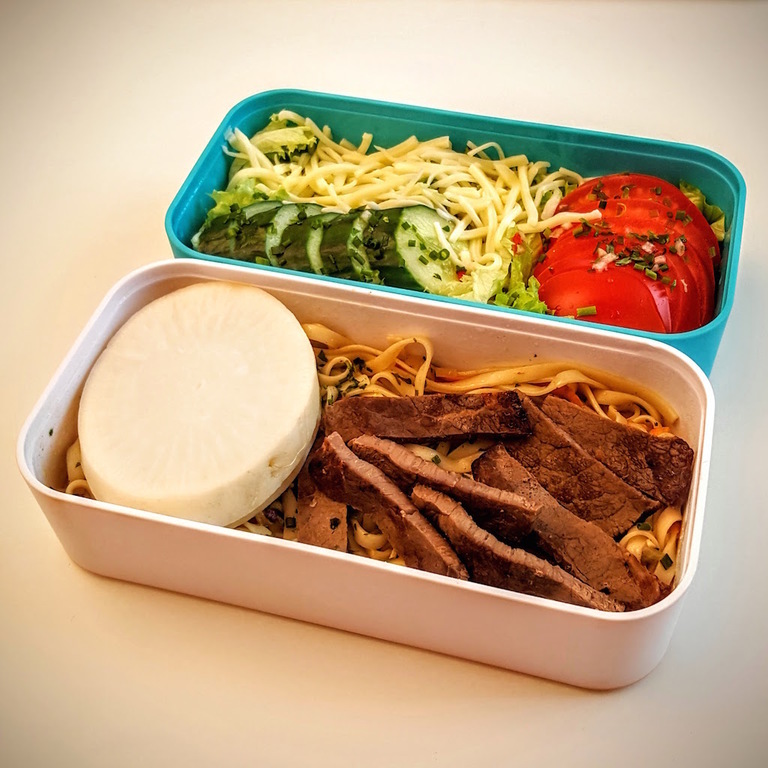 Bento is not only rice, but also other ingredients, like... pasta. 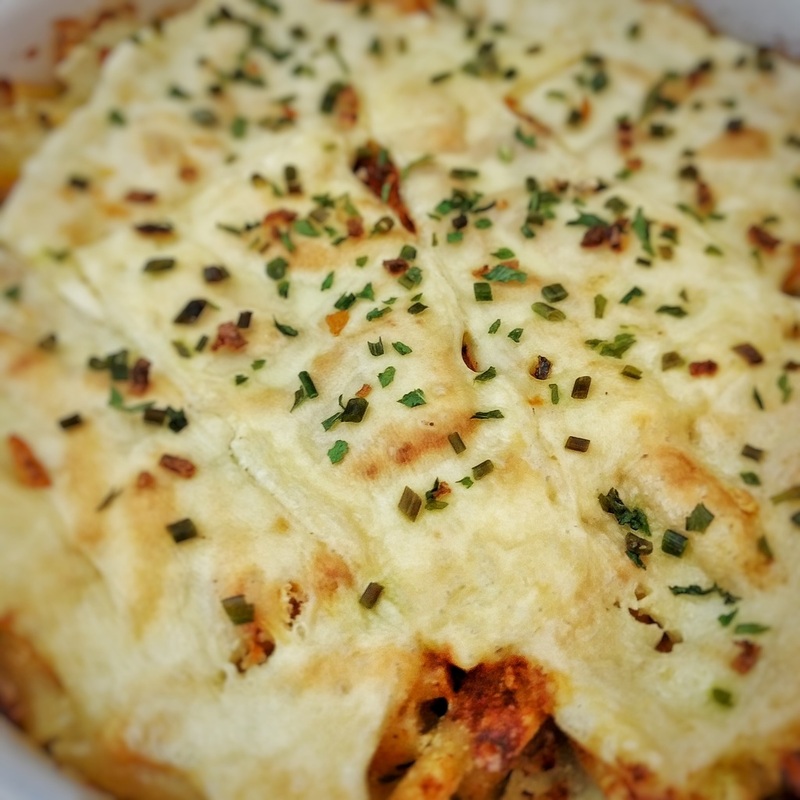 This recipe came to life when I had some uncooked beef left-overs and just wondered what to do with them. 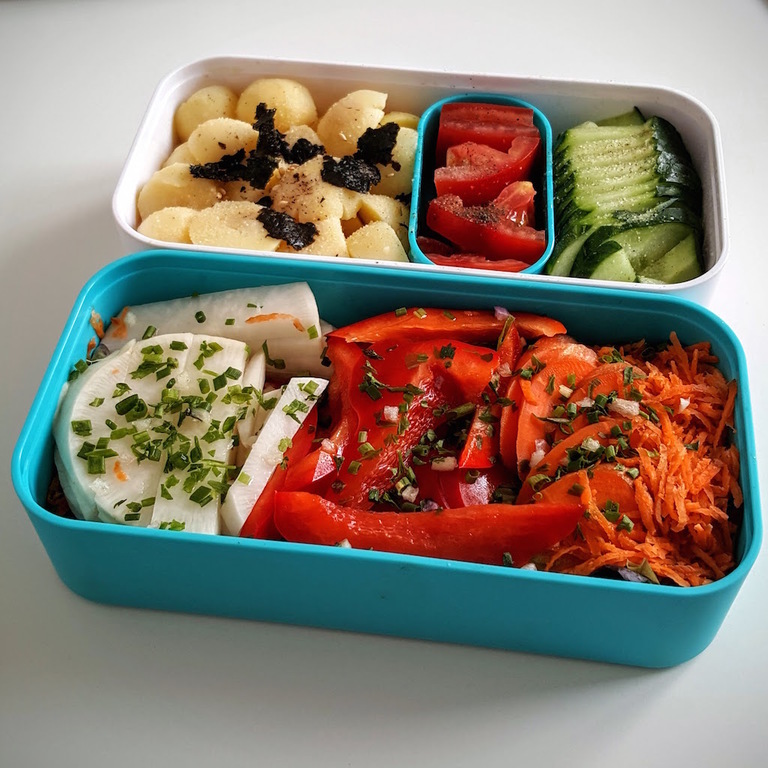 Cooking them as a part of bento was a great idea! You can buy thin beaf slices in some grocery shops or butchers. 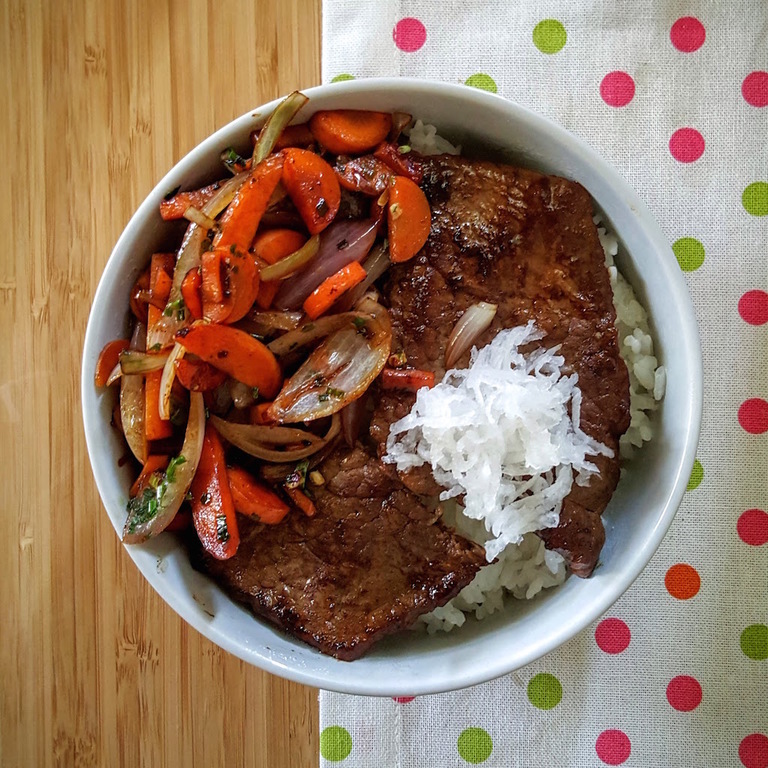 They may be called minute steaks or quick steaks and are a great ingredient that you can use to make a quick donburi (a rice bowl with meat and vegetable toppings). 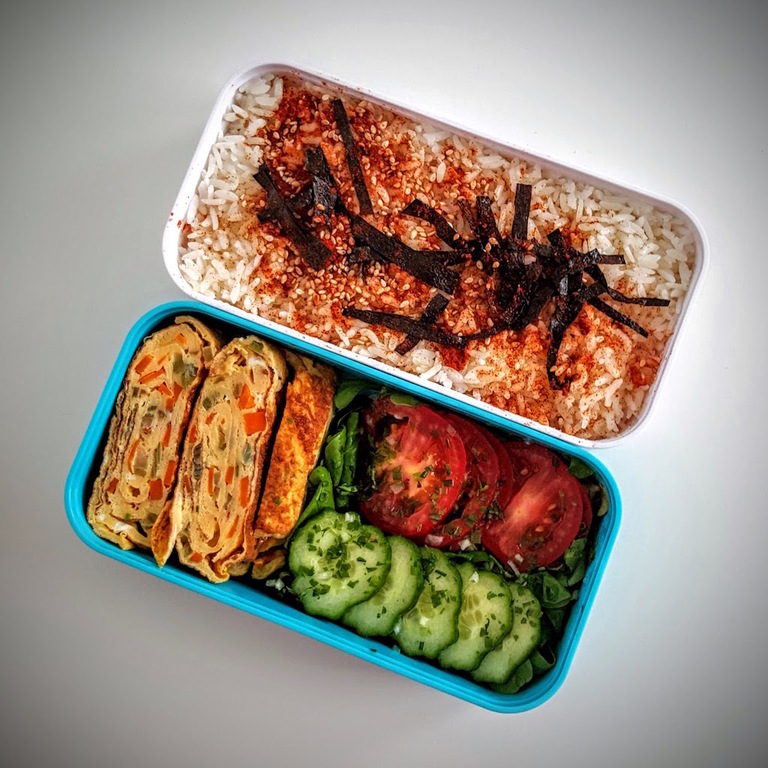 It's so fast to prepare, that you can do everything in the time it takes to cook the rice!